Urban winter sport comes to the centre of Stockholm with this two-hour dash to see who can get up and down the Hammarbybacken hill the most times. Did we mention it’s on skis? It’s on skis. The Hammarbybacken 2h is an annual competition (it began in 2010) for hardened piste enthusiasts and ski beginners alike. Solo competitors and teams of two or three race each other by skiing down the 90-metre high hill – and then skiing back up again, using special uphill attachments. Each ‘lap’ up and down the hill is worth 90 metres, with the team or solo skier who racks up the highest number of metres during the two-hour competition rewarded at a prize ceremony in the ski hut at the end of the evening. Skiing equipment is available for rent through suppliers attached to the event and it’s also possible to attend practice sessions. 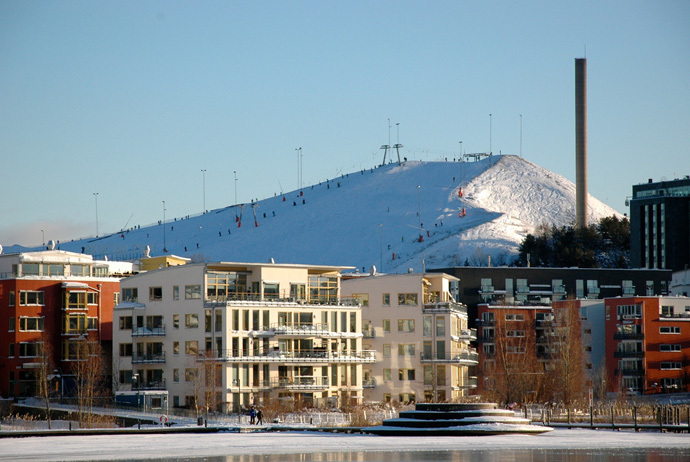 Our guide to skiing near Stockholm has more information.